Kizoa is a free movie maker and video editor that lets users upload their videos and edit them online, no download required. Unlike most video editing tools, Kizoa projects can be worked on anywhere you have an internet connection once you initially upload your content. Membership is free but a premium account can also be purchased for a one-time fee. With Kizoa, users can choose from a number of different editing tools right from their browser, including the ability to add special effects, transitions, text, and more to videos. But videos aren’t all that can be edited. 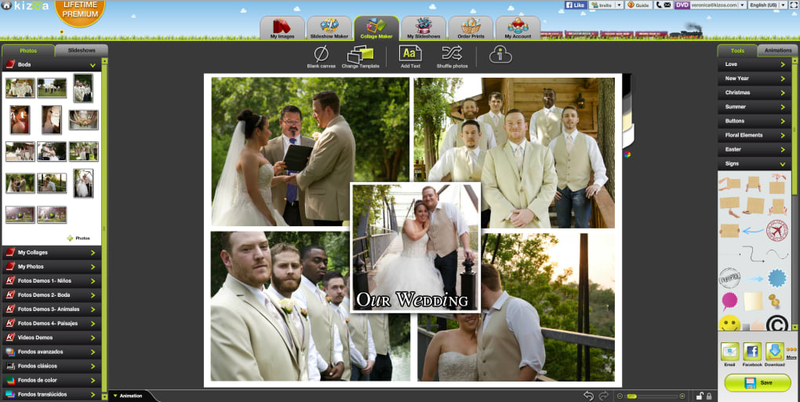 Users can create e-cards and collages, both still and animated, that can be shared with friends and family through social media and email integration. Even if it’s just still photos that need to be edited, it can perform all standard photo editing processes and features hundreds of different filters. Once edited, videos and photos can be saved right to the “Cloud” for safe and secure storage. Kizoa’s Basic account offers users 1 GB of storage space and the ability to download 1 minute of video in 600p standard resolution, but for those who are looking for more advanced options, it’s premium memberships offer even more. Premium Video, Premium DVD and Pro all offer increased storage space and increased downloading abilities, each for a one-time payment. 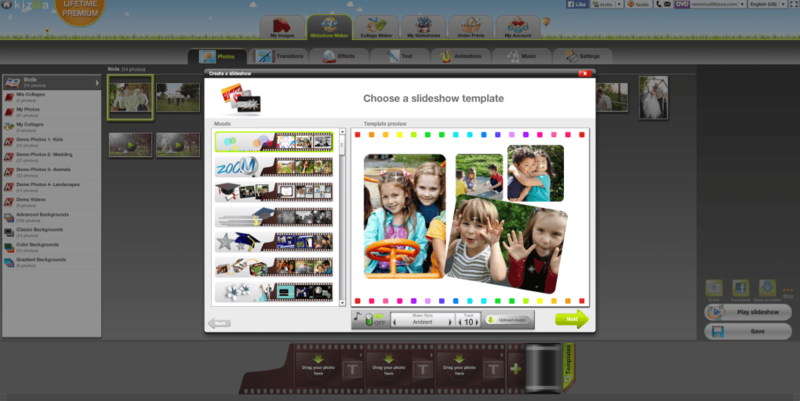 With Kizoa you can use your own photos, videos, and music to create personalised slideshows, videos, and collages. Use any of our hundreds of templates for different themes and occasions. Add special effects, text, animations and transitions. You can then share your creations online via email, Facebook, direct upload to Youtube, embed into a blog, or even burn onto DVD or download in a variety of formats to your computer. Unlike any other video software, Kizoa allows you to personalize every single aspect of your creations. You can determine themes, colors, text, positioning, music, animation, and speeds. What do you think about Kizoa? Do you recommend it? Why?